Confirmed for this panel: Andrew Block, manager of off and off-off Broadway services for TDF; Deeksha Gaur, co-founder and COO for Show-Score; William Lipscomb, president of SmartTix; Virginia Louloudes, executive director of A.R.T./New York; Harriet Taub, executive director of Materials for the Arts; others tbd. Producing is hard, but you don't have to do it all alone. A wealth of valuable resources are at your disposal to help you with your productions, your company and your career. From the physical materials you can obtain for your shows through Materials for the Arts to audience development and ticketing from Show-Score and SmartTix to educational and support opportunities from A.R.T./New York. Learn the range of services available, who qualifies, how to use them for maximum effect. Virginia P. Louloudes (Ginny) is celebrating her 28th year as A.R.T./New York's Executive Director. Since her arrival in 1991, A.R.T./New York's budget has grown four times, and its membership has grown from 150 to 370 theatres. Virginia conceived and developed many of A.R.T./New York's signature programs, including two shared office and rehearsal spaces: South Oxford Space and Spaces@520, the Nancy Quinn Fund, the Bridge Loan Fund, and the Theatre Leadership Program. Founded in 1972, A.R.T./New York assists over 380 member theatres in managing their theatre companies effectively so they may realize their rich artistic visions and serve their diverse audiences well. Over the years, A.R.T./New York has earned a reputation as a leader in providing progressive services to our members—from shared office and rehearsal spaces, to the nation's only revolving loan fund for real estate, to technical assistance programs for emerging theatres—which have made our organization an expert in the needs of the New York City nonprofit theatre community. A.R.T./New York supports nonprofit theatre companies in New York City by providing four core programs: Funding, Training, Space, and Connections. 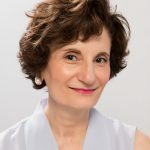 Harriet Taub is the Executive Director of Materials for the Arts (MFTA), a program of the NYC Department of Cultural Affairs which provides donated materials to arts and cultural nonprofits, NYC public schools, and city agencies. Taub graduated from NYU and earned a BS in Art Education. She spent 8 years working in film, and after her daughter was born, she started her own children’s clothing company. After 14 years in fashion, in 1998 she began working for MFTA to help its newest members, public school teachers, in maximizing their visits to the MFTA. In her position Harriet found ways to encourage teachers to think outside the box and incorporate nontraditional materials into their classroom projects. Due to her passion for reuse as well as her experience in both the film and fashion arenas, Taub was hired as the Executive Director just two years after joining MFTA. Today Harriet helps oversee MFTA’s 35,000 square foot reuse facility in Long Island City, which includes the warehouse, classrooms, and art gallery. Taub, her staff of 14 and teams of volunteers collect and redistribute nearly 2 million pounds of materials each year that would otherwise be discarded to landfills. Over time MFTA has become a cornerstone for the 4,000+ member organizations it supports. In 2017, Taub was honored with the Sloan Award, which annually recognizes six outstanding civil servants whose work and commitment to the public transcend the ordinary. 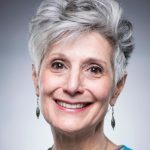 As the Executive Director since 2000, Taub’s enthusiasm and dedication to connecting “those who have” with “those who need” has made her an exceptional leader. Deeksha Gaur, co-founder and COO, comes to the startup world from the not-for-profit theater, where she held senior marketing positions at Woolly Mammoth Theatre Company, Two River Theater Company and Long Wharf Theatre. She is a recipient of a TCG New Generation Future Leaders grant and The Foundry Theatre's Producer's Chair award. Producing highlights include new plays in New York and the Edinburgh Fringe. She has an MA in history from Cambridge University and an MFA in Theater Management from Yale School of Drama. 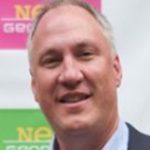 William Lipscomb is the founder and President of SmartTix. He helps event presenters who need help with ticketing and marketing their events. William’s first-hand, real world experience as entrepreneur, producer, director, designer, arts marketer and development associate allow him to help you get more people to see your events. Your event may be large or small, simple or complex, general admission or assigned seating. SmartTix will have you covered, work with you personally, and help you succeed whatever your needs are today or tomorrow. Andrew Block is the Manager of Off & Off-Off Broadway Services at TDF, where he serves as an advocate for NYC’s vast independent Theatre & Dance organizations. His programs include Go Off-Off & Beyond (formerly OffOff@$9), which was responsible for bringing 45,000 new audience members to Off-Off Broadway last year, as well as directing the Meet-the-Theatre video series. He has an Ovation and L.A. Drama Critics Circle award for Directing and has taught at several Performing Arts institutions, including Adelphi University, Manhattan College, American Academy of Dramatic Arts and Waterwell/PPAS. TDF is a not-for-profit organization dedicated to bringing the power of the performing arts to everyone. For over 50 years, TDF sustains live theatre and dance by engaging and cultivating a broad and diverse audience and eliminating barriers to attendance. TDF envisions a world where the transformative experience of attending live theatre and dance is essential, relevant, accessible and inspirational. The TDF Costume Collection Rental Program offers costume rentals to film, television, digital media, art, dance, theatre, and cultural productions.